As summer draws to a close, it’s nice to remember that education is a 12-month-proposition, and that good teaching and good parenting are infinite. 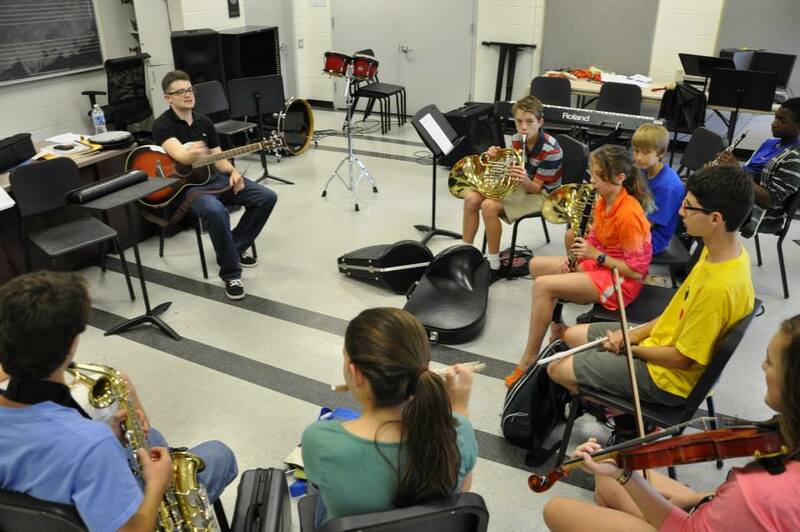 Brian Biederman, 24, a middle school music teacher in Nashville, Tenn., fulfilled his lifetime dream of starting a music camp this summer. The Littlestone Summer Music Academy brought together 23 seventh through twelfth graders from diverse backgrounds to make music together. As a youngster, Brian discovered his own niche when he attended music camp for the first time when he was 11-years-old. He later worked at music camp for several summers, and formed lifetime friendships as he honed his musical talent. About 10 years ago, Brian, a 2010 graduate of Vanderbilt University in Nashville who holds a master’s degree from Vanderbilt’s Peabody School of Education, began planning how he would start his own music camp. This year his dream came to fruition. Brian comes from a family tradition of not only music, but also of community service. His parents, Debbie and Mitchell Biederman of Commack, N.Y., are co-presidents of Helping Hands, a Long Island based charity that provides essentials to struggling families. With the advice and support of his parents, Brian created an educational non-profit organization. Brian kept cutting the tuition until he got 23 students to sign up. He also made special arrangements for those who couldn’t afford to pay, and asked friends and professors from the Vanderbilt community for donations to help pay the staff. Brian said he endeavored to blur the lines to have a mix of kids from diverse ethnic and socio-economic levels making music together. The finale of the summer season was a performance by Littlestone’s Festival Choir. Brian said the concert celebrated the diverse cultures of the students, and all students and staff participated. For next year, Brian is looking to recruit more students, bring in guest artists, and raise money for more scholarships for students who would otherwise be unable to attend. He also hopes to start a community choir in Nashville.